Not all that long ago, gaining your 200hr yoga teacher training certification was the be-all and end-all of your training path. 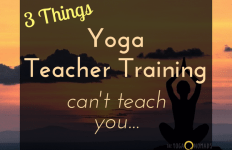 You graduated, had a basic yet thorough understanding of the various aspects of yoga, and from there, you gained your experience as your teaching career unfolded. 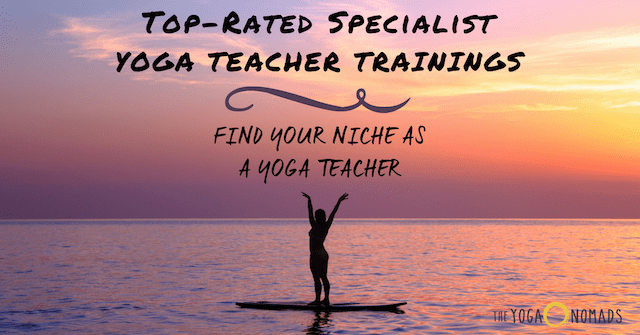 As the sheer number of yoga practitioners continues to grow exponentially, the options for alternative teacher training programs and courses have also expanded to encompass a variety of offerings that focus on very specific niches within the yoga world. As your teaching journey unfolds, you may find yourself drawn towards a particular style of yoga you love sharing such as Yin, Kundalini or Acro Yoga. You may find there is a particular demographic you enjoy gearing your classes towards such as children, women or the elderly. Or you may particularly enjoy a unique topic embedded in the vast yoga spectrum such as Ayurveda, Meditation, Philosophy, Yoga Business, Yoga Ethics or an even smaller niche of Pranayama, Energetic Alignment or Sanskrit Studies. From an outsider’s perspective, yoga may seem to be nothing more than sixty minutes spent on a sticky mat twisting the body into pretzel-like shapes. Yet the more you dive into yoga, the more you come to realise that the yoga rabbit hole is indeed deep, expansive, rich and thoroughly inclusive, with a diversity that can reach numerous subsectors of the population. 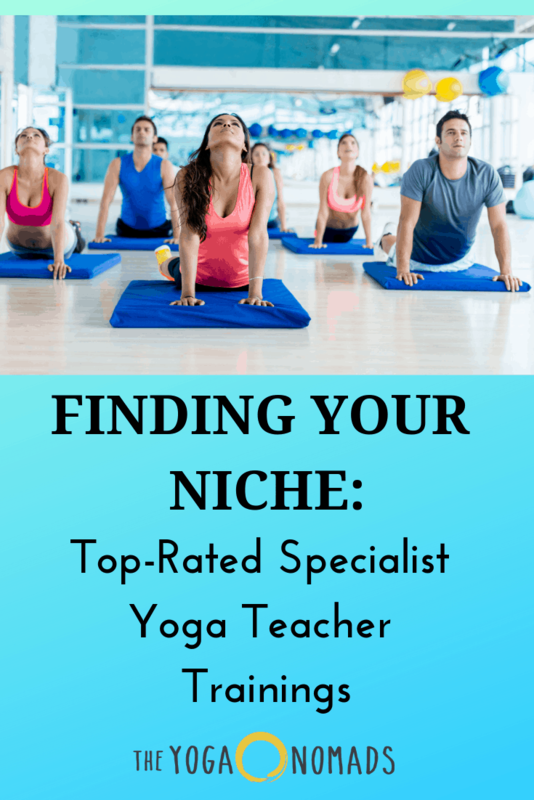 As a yoga teacher, finding a niche that you love can greatly expand not only your teaching skills, but also your potential income streams. Offering workshops, online programs, private sessions or even retreats that focus on your particular niche are becoming highly lucrative in the yoga industry. 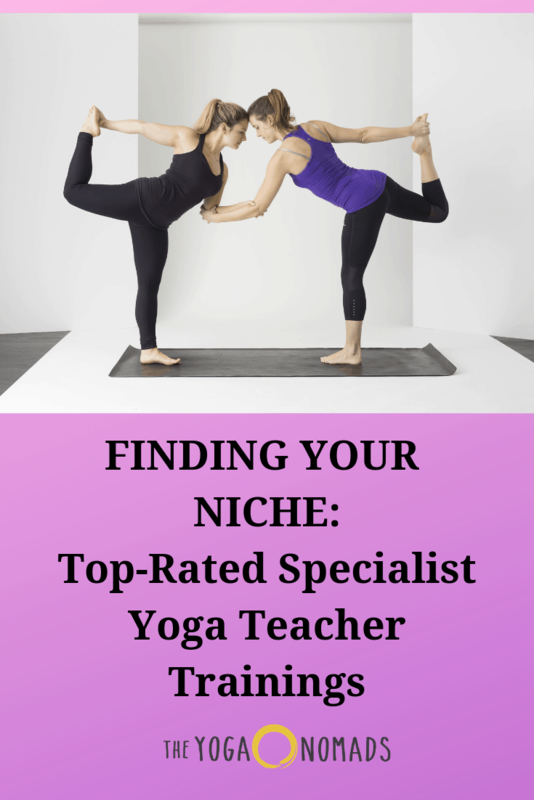 If you feel drawn to branch out, try something new, or dive deeper into a focused area of study, discover our top recommendations for niche-specific yoga teacher trainings below. As teachers we never stop being students. Building upon your own practice, wisdom, and skills is always advantageous for yourself and your students. Fancy taking your yoga practice into the air? Ulu Yoga offers 50hr Aerial Yoga Teacher Training Courses in Koh Phangan, Thailand. On this course you will learn variations of ULU Yoga’s original Aerial Vinyasa Flow. Aerial Acro Fusion and Partner Aerial uses swings to support flyers into beginner and advance poses. Restorative Aerial uses energetic insight, massage and physical therapy techniques to open the chakras and decompress the spine. 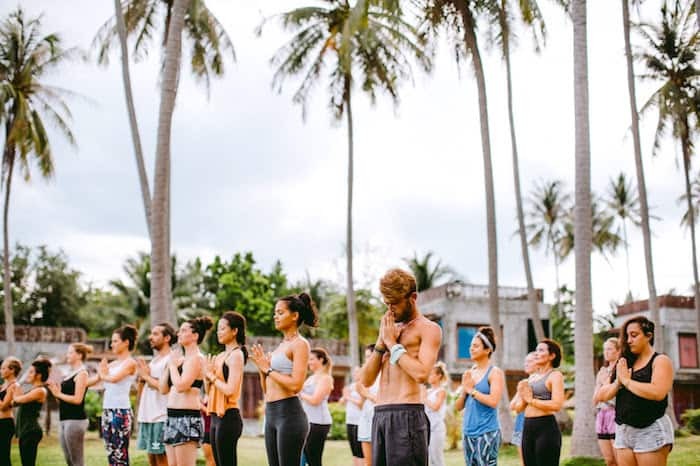 The six day course runs twice a month from a tropical beachside haven and is open to all levels of yoga teachers and practitioners. The course is Yoga Alliance certified and will enable you to become a qualified Aerial Yoga Instructor. This special training provides new and advanced teachers with strategies, inspiration and an intellectual approach to creating well rounded yoga classes for your students. The sequencing modules are full of tools to inspire, create and enhance the flow of your yoga classes. Step out of the norm and look at new poses, variations, modifications and find imaginable ways to sequence a class that stirs your soul. The Alignment & Assists modules incorporate Thai Massage techniques with a hands-on approach designed to bring confidence to the teacher and to help the student deepen their. Held at The Yoga Forest in Lake Atitlan, Guatemala enjoy an eco-friendly, community vibe as you deepen your teaching skills. The Kula Collective offer a range of continuing education trainings in various locations throughout the year that are Yoga Alliance approved. The Santosha Prenatal, Postnatal, Children’s and Teens’ Yoga Intensive is an inspiring course that will provide you with the skills and knowledge to share the benefits of yoga with new and expectant mothers, children and teenagers. Gain skills to empower expectant and new mothers and enrich their experience during this transformational time in their lives. The children and teen yoga modules offer a comprehensive experiential-based training where you will learn how to plan and sequence classes for children and teens with drifting attention spans, as well as how to adapt poses to different age groups. The course is suitable for anyone interested in enriching their understanding of the applications of yoga in these areas. Santosha hold their courses on the small island of Nusa Lembongan just off the coast of Bali mainland. Courses are Yoga Alliance approved. In this 100 hour immersive training, you’ll learn the fundamentals of Traditional Chinese Medicine and Yin Yoga including the Five Elements, Three Treasures, Chinese Meridian System and how to infuse Qi Gong and Acupressure Points into the yoga practice. Yin Yoga is increasingly in demand in the modern yoga world and the practice can assist with a wide variety of ailments and is suitable for all ages and abilities. Annie offers trainings in Mexico, Canada, Bali, Australia, and Sri Lanka. Check her upcoming schedule for more details. Courses are Yoga Alliance approved. This training offered by KiteWest is for yoga teachers who want to swap their mat for a board, and exchange their sweaty yoga studio for glassy seas and the cool ocean breeze! SUP Yoga is becoming incredibly popular and appeals to people from all walks of life. Gift yourself with a unique selling point and help spread the enjoyment of this wonderful practice of yoga that is fun and safe for everyone. 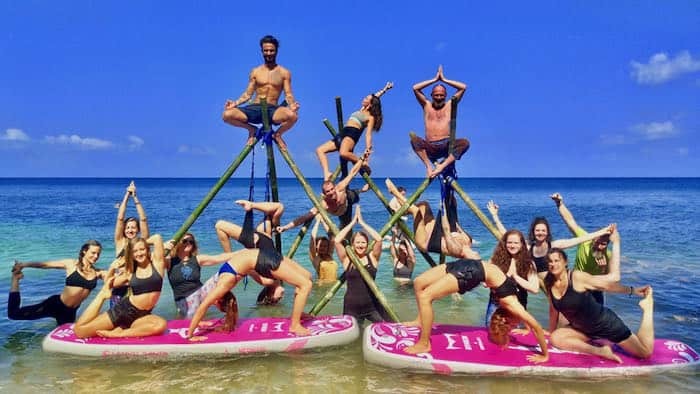 This SUP Yoga Instructor Course is open to graduates of any 200hr Yoga Teacher Training and is formulated to provide you with complete confidence in teaching your very own SUP yoga class. Graduate with a Level 1 certificate for 20 hours recognised by the ISYA and Yoga Alliance. This short course is on offer monthly in the beautiful area of Sanur, Bali. The 95-hour children’s yoga teacher training provides all the tools, techniques and inspiration required to develop creative lessons to share with children of all ages and abilities. This training is focused on providing a holistic environment for children, combining elements of musical mantras, interactive story-telling, art, nature, movement and dance, group discussions and play to explore the principles and practices of yoga and mindfulness. One of the absolute highlights of this programme is the opportunity to teach children of the local outreach programme. This is a wonderful chance to share your love, light and joy with disadvantaged children, that may not ordinarily have the opportunity to experience yoga play & creativity. Your senior trainers will provide positive, constructive feedback based on their observations – supporting and guiding you with your development as a children’s yoga teacher. Laura offers her trainings in Mexico, Thailand, Tanzania, and Singapore, check her timetable for her upcoming training schedule. Tina Nance is a 500 hour RYT who offers a variety of 100hr teacher training courses from the yoga capital of Ubud, Bali. In the Embodied Mindfulness training you will learn to practice and teach highly effective traditional and contemporary, evidence-based mindfulness techniques. Dive into subjects that include Embodied Movement, Dynamic & Seated Meditations, Yin & Yang Yoga Asana, Yoga Nidra, Buddhist Psychology and potent Self Inquiry & Relational Awareness Practices. Tina will help you discover the potential to unwind embodied trauma and transmute suffering into transformation. These practices are increasingly being utilised in a vast range of environments, from yoga and meditation studios, to schools, prisons, hospitals and the broader corporate structure. Explore the powerful tools that meet life’s challenges, on and off the mat. Check Tina’s website for upcoming dates. Her modules can also continued towards a 500hr RYT advanced training program. 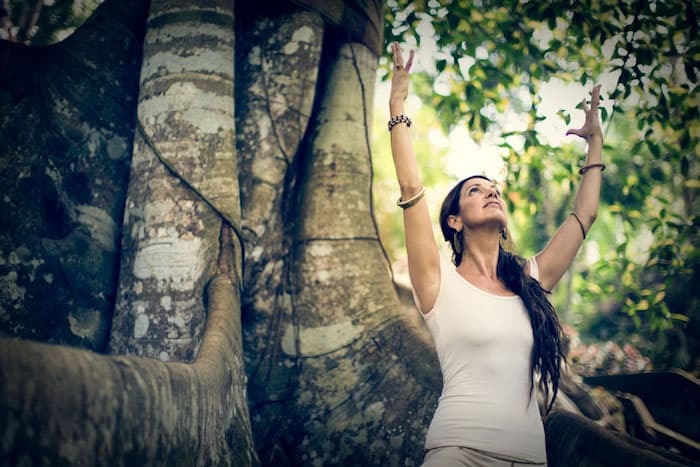 This deeply nourishing and transformative 100 hour advanced training draws upon a synergistic blend of the shamanic customs of the Americas and the ancient art and science of Yoga. Working in ceremony with the master plant teachers of the Amazon will help inform how to live your yoga rather than simply “do” it, while the yoga practice serves to deepen and keep you centered during the journey. 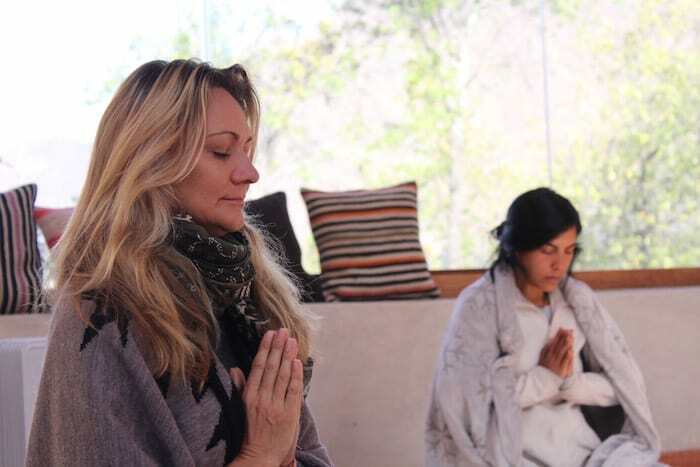 Ayahuasca, Huachuma and Yoga Nidra have long demonstrated their profound healing abilities. Gain tools to transform what arises as well as space to restore, rejuvenate and connect with your own potential, so that you can live a more authentic life and share these tools and this profound wisdom with others. This training is held annually in the sacred valley of Peru with authentic medicine people and experience yoga trainers. It is open to all levels of students and teachers. Dive deeper into the lesser-taught and practiced aspects of yoga with Akasha Yoga Academy. This training is a powerful immersion into the awareness of the breath, both in asanas, in pranayama practice, and ultimately in life. Breath and energy based Hatha Yoga, Pranayama, Chakras, and Mudras will all be covered in this comprehensive and insightful training. More than theory, this course will be a doorway into your own experience of breath and energy. There will be an opportunity for you to guide a 15 minute session of pranayama and meditation, and a one and a half hour breath or energy based Hatha Yoga class drawing from the material you learn. 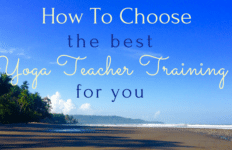 Train with highly experienced renowned teachers on the stunning tropical island of Koh Phangan, Thailand. Check out 25 More Ways to Diversify your Income as a Yoga Teacher here!